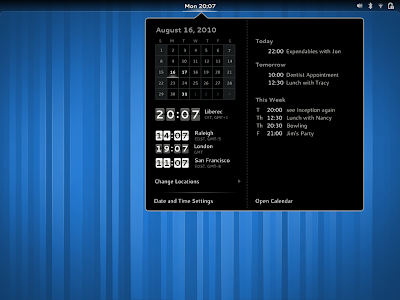 A few days back, a new mockup for Gnome Shell was shown at GUADEC. Now, a mockup for date and time came out which looks really neat. 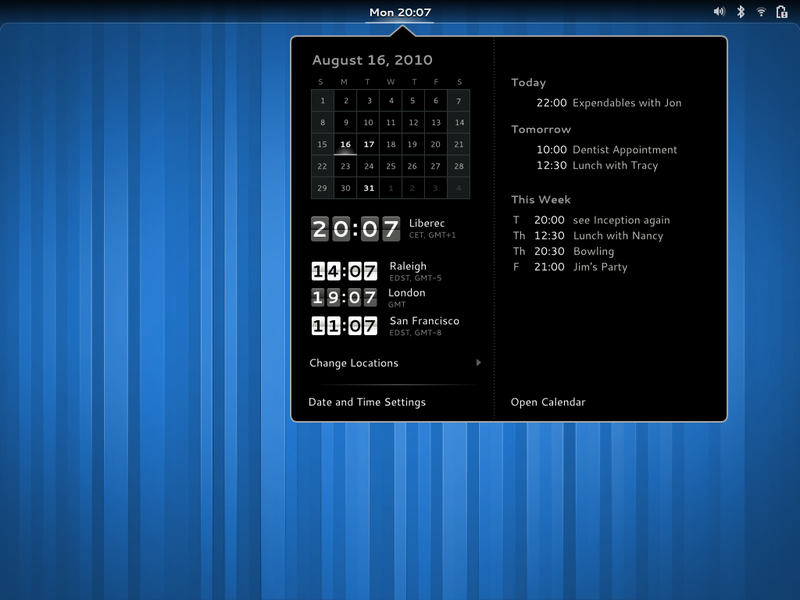 Expanding the time applet gives additional information on world time and appointments. Selecting a day on the calender shows agenda for it on right side. As of now I don't find Gnome Shell quite user friendly and it involves lots of clicks just to reach a simple application. But the mockup shown at GUADEC was really impressive (though looked inspired from Unity) and the new date and time mockup looks great and I quite like the idea of flipping numbers.